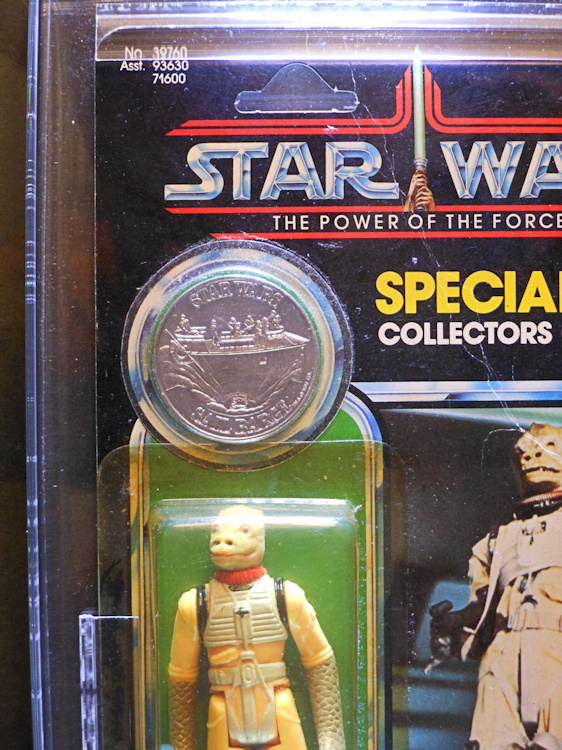 The provenance for this unique example can be traced back to the Kenner contracted photographer (Kim Simmons) who shot it along with 23 other POTF mock-ups for the 1985 Kenner Toy Fair catalog. 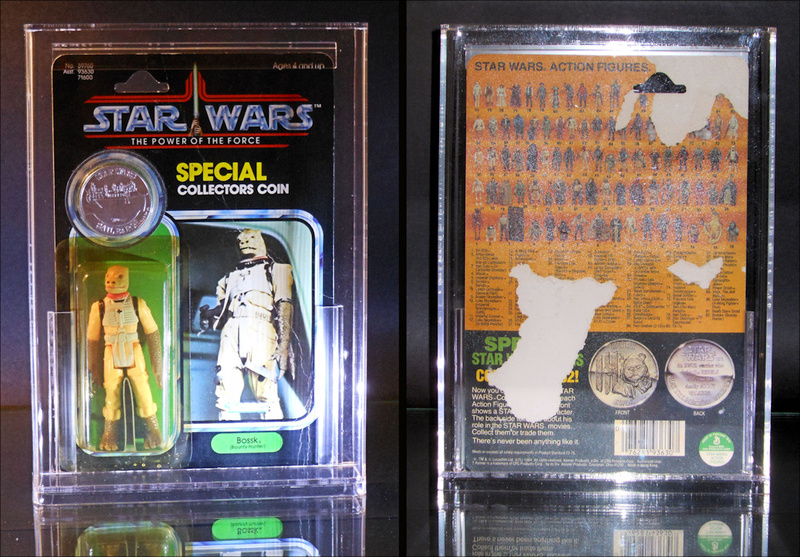 This packaging concept of course was never released before Kenner decided to end its Power of the Force line of toys; as such, this lone specimen is the only carded example of the Bossk character known to exist on a POTF Card. 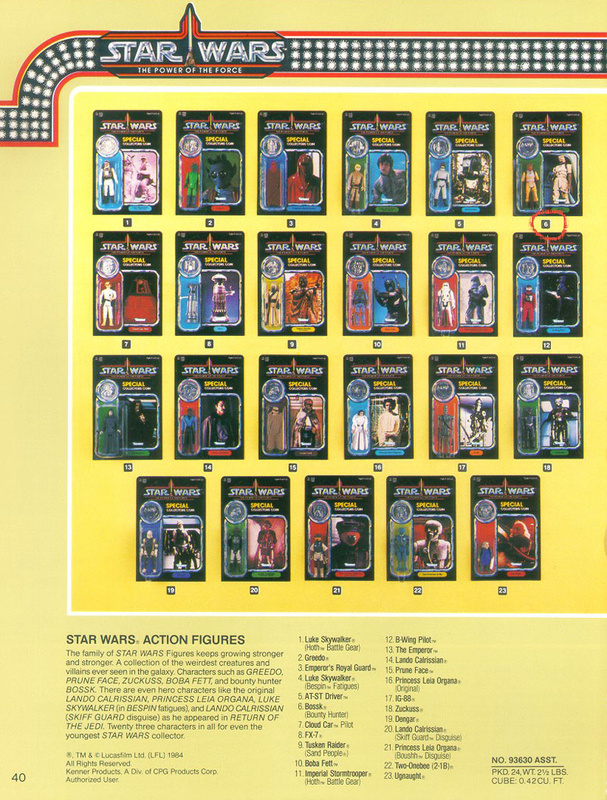 It features on page 40, item #06, and is one of 20 such characters depicted to suffer the same sad fate of never seeing a POTF release. 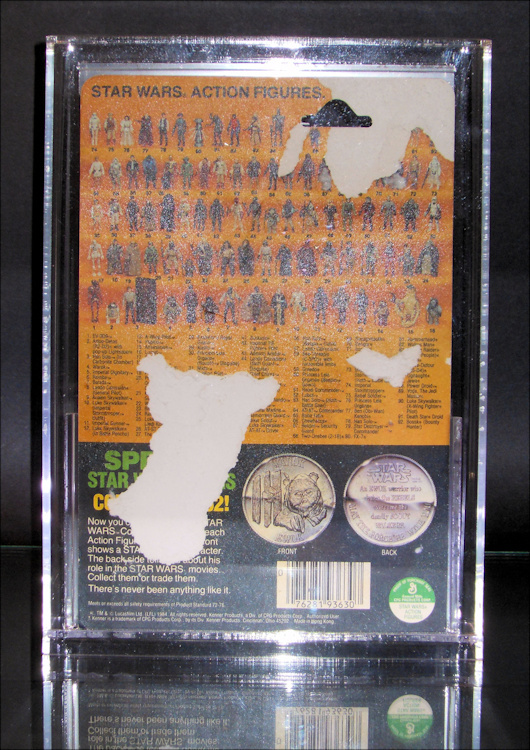 This mock-up is also prominently featured in one of Gus Lopez’s works (Gus and Duncan’s Guide to Star Wars Prototypes - pg. 93), so again, great provenance and a bit of hobby vetting too. Many of these mock-ups had their backs severely compromised (torn) when they were taken down from their yellow mount following photography, as is clearly evidenced by the condition of this example. Both prototype blisters are hand applied and glued – the one covering the figure is starting to yellow a bit which is a typical trait for these blisters while for some reason the ones covering the coins remain clearer. The Extremely Rare “Sail Barge” coin presented on this mock-up is a huge bonus, as it is a scarce category VI or Class H coin depending on the published resource used to determine rarity. Comes with a COA from CIB’s Tom Derby and one from Rachfal Enterprises.